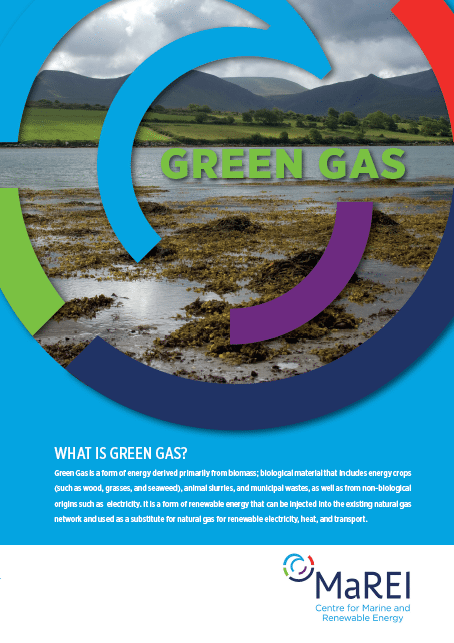 Green Gas is a form of energy derived primarily from biomass; biological material that includes energy crops (such as wood, grasses, and seaweed), animal slurries, and municipal wastes, as well as from non-biological origins such as electricity. It is a form of renewable energy that can be injected into the existing natural gas network and used as a substitute for natural gas for renewable electricity, heat, and transport. MaREI have released a new position paper outlining the benefits and prospects of this form of energy. Read the full paper here.